Lethal yellowing (LY) is a disease affecting palm trees in Southern Florida landscapes. In 2007, the disease appeared on the west coast of Florida, perhaps for the first time. In 2012, the disease was observed in Indian River County on the east coast of Florida. LY is also observed in field nurseries. 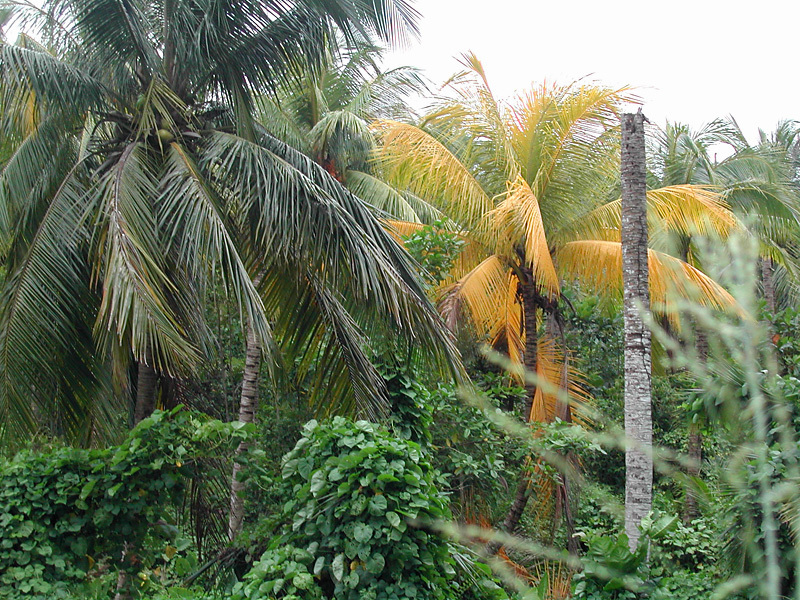 This disease has significantly reduced the number of tall-type Cocos nucifera (coconut) in Florida and the Caribbean Basin, and localized outbreaks continue to occur. The main host is coconuts (Cocos nucifera) but the disease has also been found on dates and P. canariensis. The occurrence of symptoms similar to lethalyellowing together with the presence of phytoplasmas among collections of palms in affected areas in Florida indicates that at least 30 species of palms are susceptible toinfection. The evidence suggests that nearly all the susceptible species are of Old World origin and that almost all American palms are resistant or immune..